We are delighted to announce that an NTSC DVD of KanZeOn is now available in North America from Festival Media, the distribution arm of the International Buddhist Film Foundation. We are very happy to join their wonderful catalogue of Buddhist-related films and look forward to continuing to take part in their touring festivals. This edition of the DVD includes a newly created conversation between the Directors, containing unreleased footage from our shoots in Japan, as well as amoeba.av’s audio-visual remix of the film. 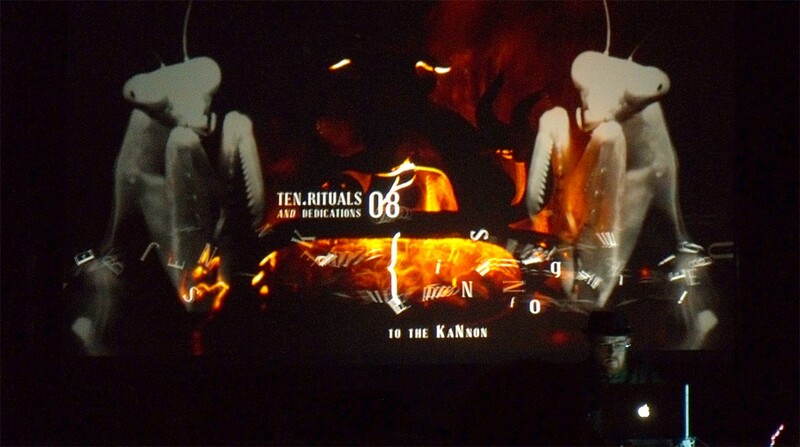 We are very grateful to have had the opportunity to present KanZeOn this last weekend as part of the NowJapan Festival in Vilnius, Lithuania. It was an interesting new experience to be part of a festival not only consisting of films, and the diversity of Japanese-related arts on offer was fantastic to behold. Perhaps the most unexpected experience of the festival was Sako Kojima‘s performance “The Reason Why I Become A Hamster”, which was both mesmerizing and moving, at the same time as perhaps also serving as an inspiration for everyone involved in the festival – she was working so hard all day nibbling and scratching that I felt guilty whenever I walked past about being a bit tired. A continual fascination for me throughout the weekend was seeing how Lithuanian culture met Japanese culture, and I got to appreciate this to the fullest in the performance of Gediminas Sederevičius and Raimondas Binkauskas. Gediminas’ shakuhachi playing was wonderfully subtle and sensitive in its texture, with occasional beautiful bursts of more European melodies, whilst Raimondas skillfully created endlessly changing landscapes of vibration moving around a collection of bells and gongs and other percussion not too dissimilar to what we used on the KanZeOn soundtrack – here’s a little video that they feature in. 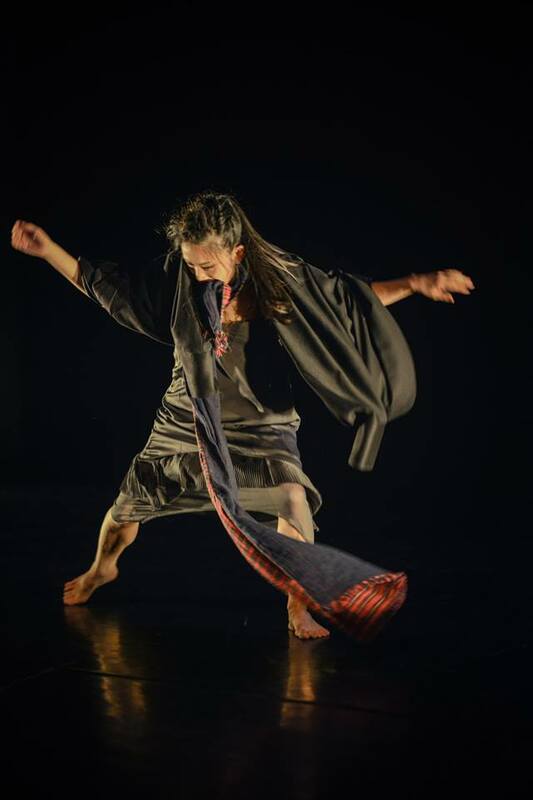 The final evening’s performance by Kaori Ito created a suitably emotional pinnacle to the festival, using what felt like some kind of psychological kung-fu combining dance and music with humour and poetry to leave me close to tears – a feeling apparently shared by other members of the audience as they ran onto the stage to hug and kiss her in thanks before she left. And this was all despite losing half her luggage in transit containing essential elements of the show, so as well as paying tribute to her artistry in the face of adversity this triumphant finale was also testament to the grand organisational achievements of the whole NowJapan team, especially having seen close-up the logistical nightmares they were facing in the run-up to this final show. Many many thanks to so many new friends – Sergej, Indre and the rest of the NowJapan team and volunteers, especially Jonas; Aine, for being such a kind and generous host, and Ineza for making such a good choice of where I should stay; special mention has to go to Alexey – The King of the Sauna – for such a wonderful experience, in the course of which it was also a delight to be able to meet Aus and Cuushe and close a little mutual friend circle demonstrated by this video from Kidkanevil. Kidkanevil ft. Cuushe & Submerse – “Butterfly/Satellite” from sankaku on Vimeo. And then in the midst of tiredness upon returning home, it was an invigorating delight to see that The Creeping Garden had received the award for Best Documentary Feature Director at Fantastic Fest – Tim Grabham and Jasper Sharp, Award-Winning Directors! About to enjoy its world premiere as part of the Fantasia Film Festival, The Creeping Garden is a new film directed by Tim Grabham and Jasper Sharp, with an original soundtrack by Jim O’Rourke, depicting the world of myxomycetes, or plasmodial slime moulds, and the diverse array of research currently being conducted around them. The Creeping Garden – Official Trailer from cinema iloobia on Vimeo. Shunkanido – Kidkanevil from cinema iloobia on Vimeo. Please see below for news and music from Tatsumi – the beatboxing monk who features in KanZeOn. Can you remember when you first felt the urge to make music? Since I was in the womb, my mother used to hold speakers up against her stomach so that I could hear music. Because my mother was working for Yamaha, my experience of music was chosen with a certain care when I was young – for example listening to classical music and learning to play an electric organ. So from that time I could play whatever melody popped into my head, or make my own arrangement of classical music, and that gave me a playful understanding of making music. Then from the third year of elementary school (age 9/10), I started seeing hip-hop music on TV and began listening to club music after that. That experience had a big impact on me wanting to make music, and also the way that I do it. When I make a track, I don’t decide the style beforehand. It’s more that when I’m making the track on my computer, I try to compose something that reflects an image and enjoy how the music comes into my mind. There are many styles for making tracks, and so rather than just deciding on one genre, I want to make whatever comes to me, all genres. At what age did you become a monk? I became a monk at the age of 15. I also started DJing from the age of 15. Have your temple been supportive of you making / performing music? I am definitely supported. People sometimes say I am a monk and a musician. But in my own temple, there aren’t many musical events. For example, listening to J-pop and club music is popular with people who are 20-30 years old. Listening to J-pop or The Beatles or Western music is more popular with people who are 40-50. For people who are 60, 70 or 80, they listen to Japanese folk music or Buddhist music or classical music and so sometimes we have classical or folk song concerts at the temple because of the age of most of the people who come there. In the KanZeOn film we see you beatboxing in the forest, on the mountain etc – is this making music with nature something that you do very often? I am not thinking about it every day when I am creating music, but when I get inspiration or an idea from being in nature then I will make something. When I want a more natural mood, I will go to be in nature to do some production, when I want to do production in the studio I’ll go to the studio, when I want to go to my house or my friend’s house, then I’ll go there to make music. Neil tells me you are involved with skating, DJing etc in the city of Kumamoto – how often have you been able to get away from the temple to be involved with these things? Yes, I am involved with street culture in Kumamoto, especially skating. I have been asked to make tracks for various skate shops or teams, or fashion shops or free magazines. I am a monk in the temple from morning til night, but then I use the free time at night for musical activities. But then I have to be back at the temple in time to start early in the morning. How many tracks have you made now as a producer? I don’t know, because I am making new tracks all the time! Why did you not think of releasing the tracks to the wider world before now? I had wanted to release the music before, and even though there was no shame when people listened to it, it is only now that I feel like my level of skill went up enough to want everyone around the world to hear it. What do you hope listeners to get from listening to your tracks? First of all, I want you to hear it in your ear, and then hear it in your head and your heart and try to imagine the image of the music. I want you to feel like you can almost watch the music. Most of all, I want people around the world to take some comfort from the music and to enjoy it. Much to our delight, screenings of the film have been continuing to happen all over the world…One that we were able to attend was a very special event at the Asylum Chapel as part of the Peckham and Nunhead Free Film Festival. 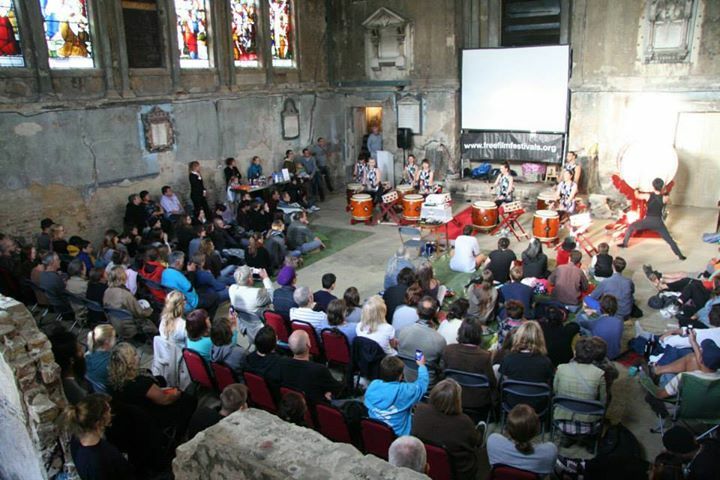 Many thanks to all involved, especially Jasper Sharp for instigating the event, and also to Thames Taiko for their magnificent performance. Here is a little interview that appeared alongside a screening by our friends The SRK at The Space in Bangkok. 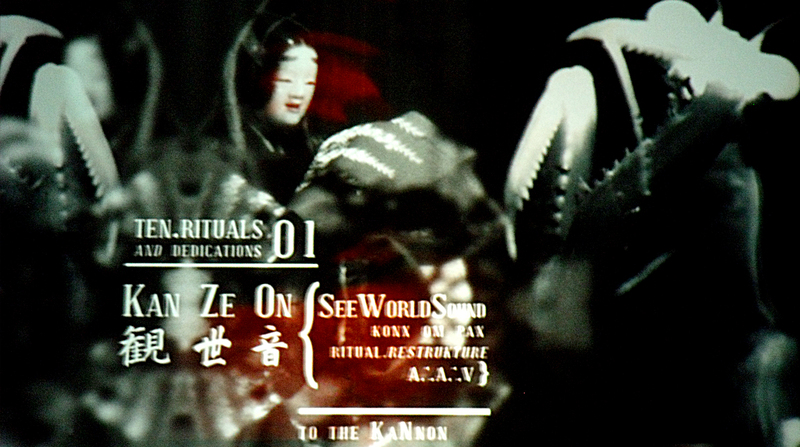 March 17th saw the new incarnation of Amoeba AV’s Restrukture and reinterpretation of KanZeOn presented in East London by the Live Cinema Foundation. Completely re-imagining the film and integrating live mixing, animated text and all manner of other Amoeba alchemy, this was a true feast for eyes, ears and brain. It has already evolved from the version available on the KanZeOn DVD release and the real joy in all this is how Amoeba continues to rework the film and make it his own while still maintaining the essence of the original 86 minute incarnation. At the invitation of the International Buddhist Film Festival, I was very grateful to be able to travel to San Francisco to present two screenings of KanZeOn as part of this latest installment of their peripatetic festival – KanZeOn had previously been included in their programme for London and Bangkok. 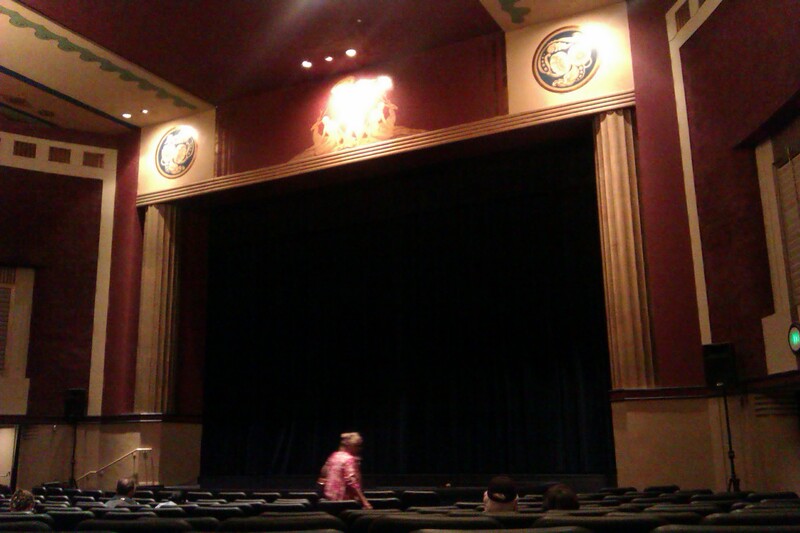 No sooner had I arrived than I was off to the first screening at the Smith Rafael Film Center. The film was very warmly received, with lots of highly knowledgeable questions afterwards attesting to the large population of Buddhist practitioners in the Bay area. 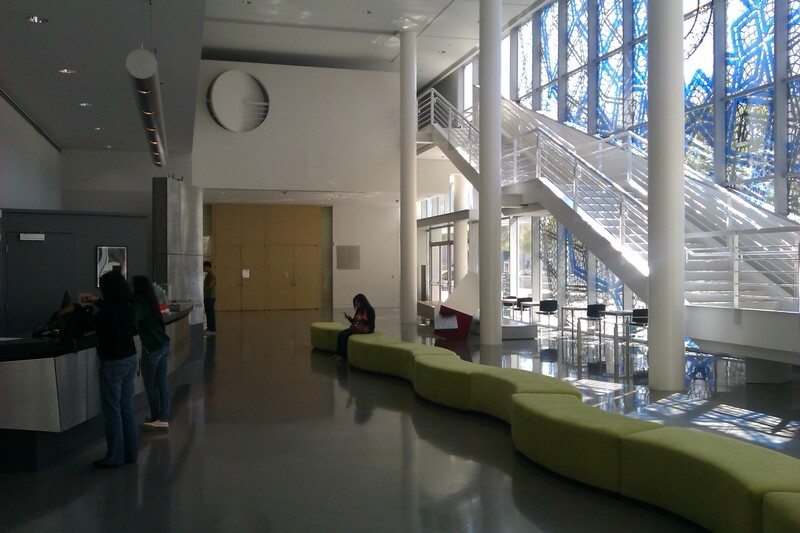 My week in the city was then dovetailed by another screening at the Yerba Buena Center for the Arts. On both occasions it was an honour for KanZeOn to be presented alongside Naomi Kawase’s incredibly beautiful and moving film Mogari no Mori (The Mourning Forest). Just before I left San Francisco I was delighted to come across the following write-up of the film that had come out in conjunction with the screenings – many thanks to Joe Bendel for these words, and also of course to Tano and Ayelet from IBFF for all of their efforts with the screenings. He might sound like a character from Mad TV, but the hip hop Buddhist priest is a perfect example of how the traditional and the modern peacefully coexist in Japan. 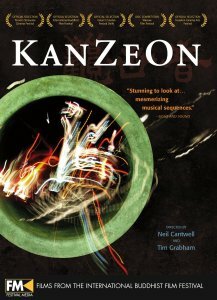 He will be one of our guides in Tim Grabham & Neil Cantwell’s KanZeOn, a ruminative documentary-essay exploration of the relationship between Buddhism and music in Japanese culture, which screens during the 2013 International Buddhist Film Festival Showcase in the Bay Area. KanZeOn is another word for the Buddhist embodiment of compassion. It is often written in a way that evokes sound and visual beauty. 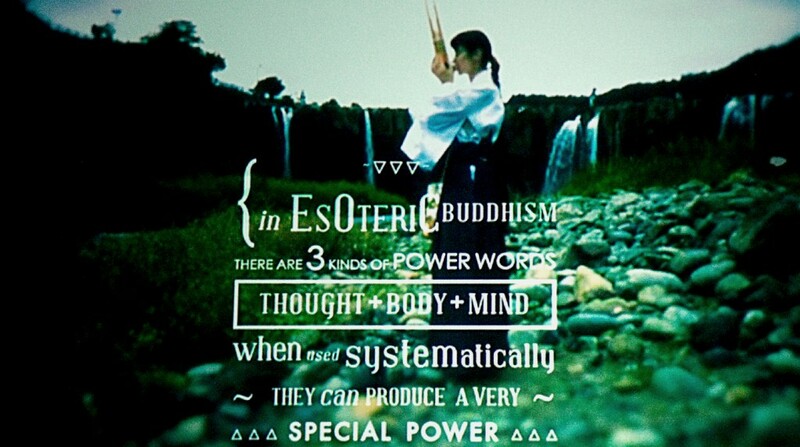 There are many enchanting sounds in KanZeOn, such as Eri Fujii’s shō. At least in small doses, the pipe instrument has an eerie splendor and of course it has an origin based in legend. Just as Fujii often plays to the accompaniment of nature’s ambient noise, Akinobu Tatsumi also beatboxes to the sounds of the great outdoors. Buddhism and music are his family traditions. He has his share of stories too, such as how his temple’s ancient bell was saved from the scrap metal drive during WWII. Watching him give a hip hop presentation to a ladies society is quite a sight to behold, but it clearly appeals to Grabham and Cantwell’s sensibilities. Without Buddhism there could be no Noh theater explains kotsuzumi drummer Akihiro Iitomi, KanZeOn’s third POV figure. There is a marked austerity to the music he plays for his company’s productions, yet he is a regular visitor to the Dolphy Jazz Bar, where the music swings pretty hard from what we hear. Again, tradition and modernity meet. KanZeOn is surprisingly avant-garde in its conception, but strikingly elegant in its execution. In fact, it compares quite favorably to Castaing-Taylor and Paravel’s deliberately obscure Leviathan opening today in New York. Frankly, there are times when it is impossible to tell whether their camera is above or below the ocean. Whereas that over-hyped commercial fishing doc is all about how they problematize the viewing experience, KanZeOn will work with audiences willing to meet it halfway. Much like Tatsumi, Grabham and Cantwell demonstrate a hip hop tendency to sample and juxtapose. Yet, the music, stories, and lush natural scenery always give viewers plenty to hold onto. Indeed, those scenes of light rain falling on Shinto shrines look wonderfully inviting after a long day of urban bustle. More importantly, for the spiritually inclined or questioning, there are plenty of take-aways to be found sprinkled throughout the film in unlikely places. Defying easy categorization, KanZeOn has an impressionistic you-are-there sense of Japan and the rituals it observes. It might not be a broadly-based destination film at the IBFF Showcase (such as Mindfulness and Murder, The Great Pilgrim, and Digital Dharma), but those interested in the festival’s themes will likely get quite a bit out of it. Recommended accordingly, KanZeOn screens this Sunday (3/3) at the Smith Rafael Film Center and next Saturday (3/9) at the Yerba Buena Center for the Arts. We have recently put together a list of locations from the film for the London website of the Japan National Tourism Organisation, with links to an accompanying map. You can find the full details of all the locations listed here. We are very grateful to Joe Muggs for writing a very kind review of the KanZeOn DVD/CD release for The Arts Desk website, which you can read here. The article includes two exclusive music tracks to freely download featuring the sho playing of Eri Fujii, which were recorded as part of the preparatory research for the film. Joe Muggs writes: “KanZeOn is one of my favourite films – not just music films, but in any genre – of the past year. Not quite documentary, not quite art film, not quite music video, it’s a slow, abstract audiovisual love poem to Japan and its relationship to sound and music. For the most part it shows three main characters (see the description by co-director Neil Cantwell below), playing music and narrating their understanding of that music – but in so doing, it tells us a vast amount about Japanese culture, psychology and spirituality, as well as showing some of the most stunning sacred places and areas of natural beauty I’ve ever seen on film. “I was lucky enough to see a very early showing of the film at the ICA right at the end of 2011, together with talks from the directors Cantwell and Tim Grabham and performances by Akinobu Tatsumi the “hip hop monk” who appears in the film (all pictured at the ICA, right). I was completely enchanted not just by the film but by the amount of love and knowledge the filmmakers had for their subject, and the sense of community they had built up among an extended family of musicians and collaborators, including the Leeds electronica/hiphop DJ/producer Gerard Roberts aka Kidkanevil who (along with Laurent Fintoni of Original Cultures) had alerted me to the project in the first place and who contributes to the remixes and reinterpretations on the CD which comes with the film’s DVD. Neil Cantwell’s commentary: “All of the three main characters in KanZeOn come from musical connections that I made while living in Japan in the course of doing research about the Shikoku 88 Temple Pilgrimage and Japanese Religion more generally. Akihirio Iitomi was my teacher when I spent six months studying the Kotsuzumi drum with him. I met Akinobu Tatsumi through making tracks and playing shows with him via our mutual friend Koichi Yuasa (Ko), who I was making music with as Shinekosei. It was performing with Ko that also led me to meet Eri Fujii – we played a concert at a venue in Fukuoka called art space tetra and Eri also happened to be on the bill playing the sho, a rare and ancient Chinese bamboo wind instrument.